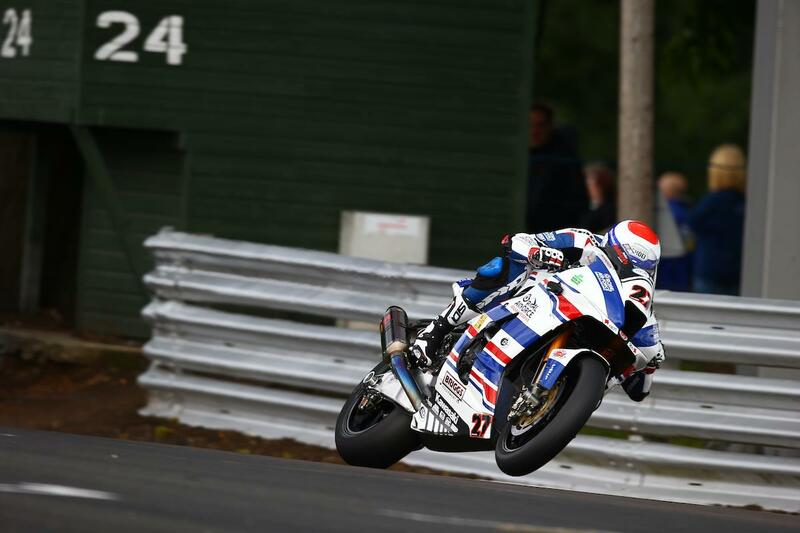 Jake Dixon will start tomorrow’s opening MCE British Superbike race at Oulton Park from pole position after getting within a whisker of the outright lap record in qualifying at Oulton Park. The RAF Kawasaki rider, who earlier confirmed his future with the Norfolk team, clocked a lap of 1’33.959, just 0.026 slower than his former mentor Shane Byrne’s outright lap record. He’s joined on the front row of the grid by Byrne, who was 0.124 slower on the Be Wiser Ducati. Anvil Hire Yamaha’s Josh Brookes completes the front row, ahead of Honda’s Dan Linfoot heading up row two. Leon Haslam was fifth fastest after a moment into Hizzy’s chicane on his fastest lap while a good session for MotoRapido Ducati’s John Hopkins saw him complete the front two rows. Christian Iddon leads row three ahead of Peter Hickman and Tommy Bridewell. James Ellison will start tenth after narrowly missing out on a spot in Q3 ahead of Bradley Ray and Jason O’Halloran, who dramatically crashed out of the Q2 session.